A precision tool that will perform to your highest standards. Slice, cut, chip and glide through hair with ease. 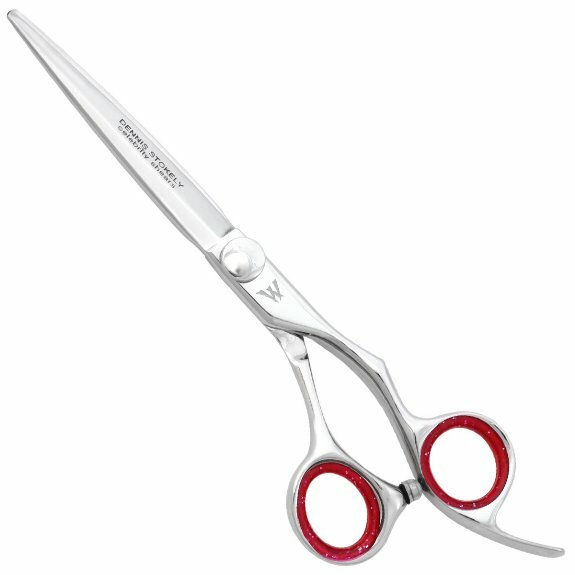 I have partnered with Washi Scissor Company to introduce the DENNIS STOKELY celebrity shears to stylists everywhere! The foundation for all of my red-carpet hairstyles begins with a flawless haircut and the precision of these shears give me perfectly clean and blended cuts every time. The sleek and modern design, the sharpness of the blade, and the red-carpet inspired carrying case make the DENNIS STOKELY celebrity shears a must have for every stylist out there wanting to rock celebrity haircuts. The DENNIS STOKELY celebrity shear is expertly made from Japanese Cobalt Steel. A precision tool that will perform to your highest standards. Slice, cut, chip and glide through hair with ease. This hair scissor features a custom designed handle with bent thumb ring. The closeness of the finger and thumb rings give you the highest level of control and comfort. Features Washi's Anti-Push Edge. A light weight shear that will give you years of satisfaction.